DSS Security installs all types of access control systems, from the simplest to the most complex. Access control restricts entry into an area by means of electric locks and various entry techniques. Electromagnetic locks are rectangular in shape and have two basic parts: the electromagnet and the armature. By code, all electromagnetic locks installed are fail-safe (unlocked upon power loss). Electric strikes are installed in the strike plate side of the doorjamb can be either fail-safe (unlocked upon power loss) or fail-secure (locked upon power loss), depending upon the application. If code requires that the lock installed be connected to the fire alarm system, the lock must be fail-safe. Because electric strikes do not provide latching of the door upon power loss, they are not allowed by code for installation in stairwells. Electrified locksets are locksets that have been modified so that the handle uses power to enable an authorized person to enter the protected space. It is used in conjunction with an electrified hinge for power transfer. Stand-alone keypads will control entry, but do not provide an audit trail. User codes are programmed at each keypad. Access Control Software allows for input of cardholder information, times of access, door schedules, etc. all by means of the software. This system also maintains an audit trail of entry by personnel. Entry is gained through use of proximity card, keypad, and/or biometric readers. 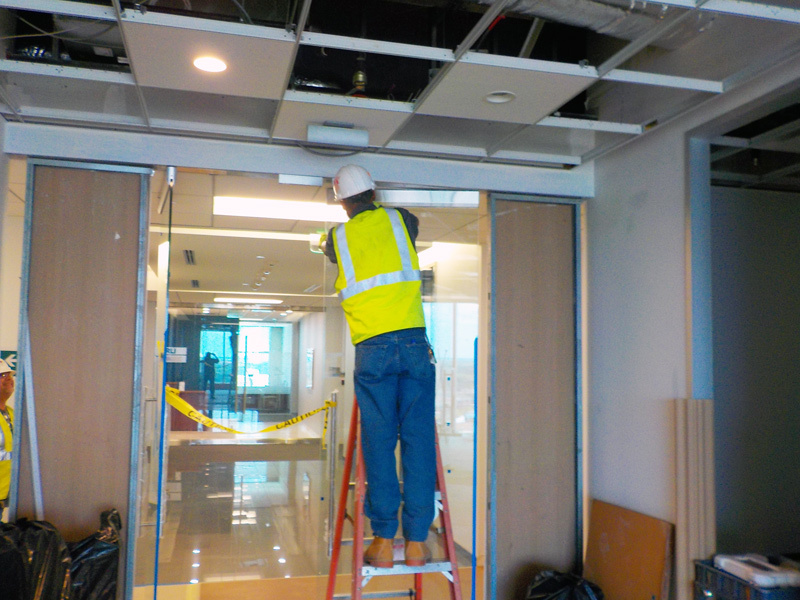 DSS installs access control systems as well as provides ongoing service as needed. Contact us for installation or service of your system.